Once data points emitted from your devices are securely stored to the platform, you will become able to gain tons of deeper insights at scale in combination with many different types of datasets (e.g., user's demographics and behavior) loaded from a variety of data sources. To those who still don't have a physical Mbed device (including me! ), this article introduces a handy version of the Mbed-to-TD data ingestion demo running on top of Mbed simulator. Modifying sample C++ code in the editor view, and rebuilding and executing it on a simulated Mbed device are quite easy. Additionally, once you properly define a simconfig.json config file for a time of compilation, the simulator enables working with peripherals such as LCD and temperature & humidity sensor. Similarly to the device health demo, this template simply sends a HTTP POST request to TD's postback API as mbed-os-example-http does. Depending on JSON-formatted content body, a wide variety of device/sensor data can be incrementally ingested to arbitrary Treasure Data account, database and table. Super simple and easy, isn't it? Again, the full demo implementation and installation guide are available at a GitHub repository, and you can immediately try this sample on your browser. Sending sensor data to the platform is not our goal for sure; there are many possibilities we can do from here. Compute average value per month, and see how local environmental condition changes over time in the monthly basis. 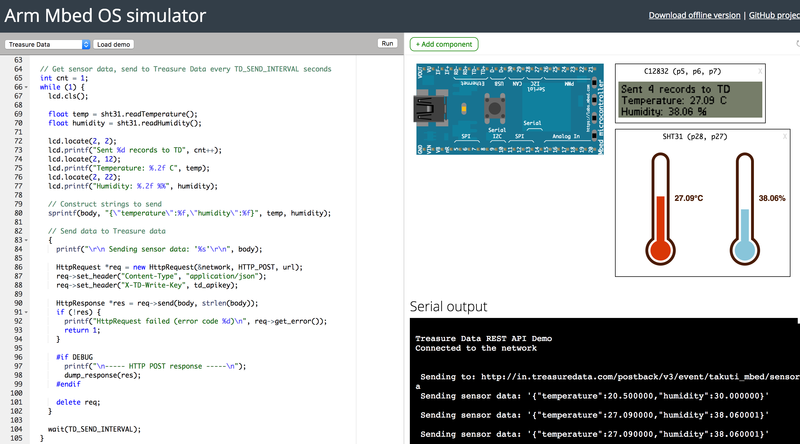 Build temperature/humidity predictor by using TD's ML capability, and predict future wether condition near the sensor. Send an alert to people who are living within a mile radius from the sensor, when recent data points show exceptionally high/low value. Allocating more sensors across a city, and attaching their identifier and/or geolocation to emitted data. 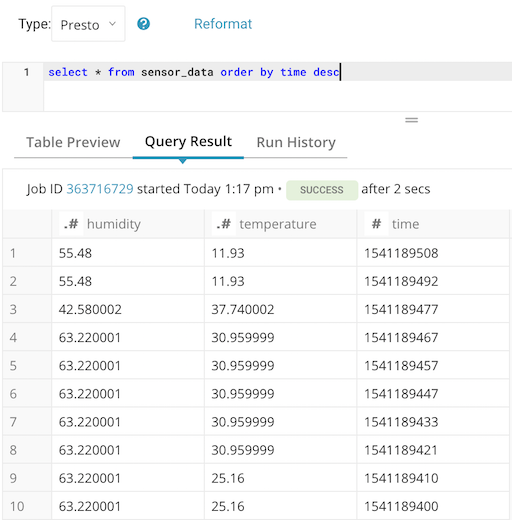 Deploying pre-built ML model to the devices, and make edge-side prediction (e.g., anomaly detection) with uTensor. 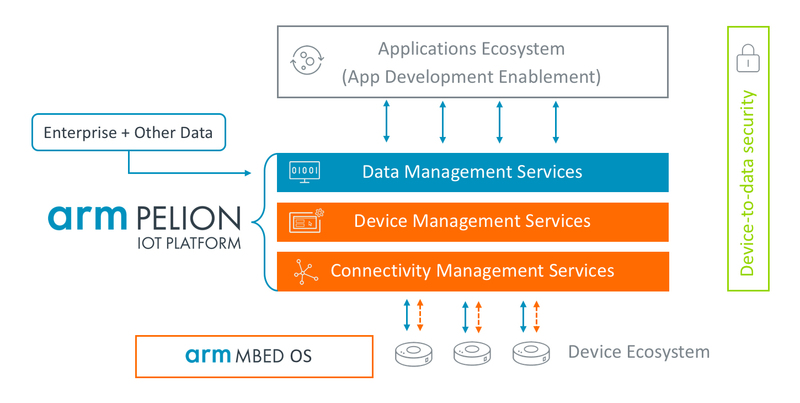 In any scenarios, I personally believe that integration between Treasure Data and Mbed OS would become one of the most important and exciting challenges for all Mbed developers in near future.